As leaders, we should be careful not to overcomplicate the simplicity of prayer, and at the same time teach our students the value of consistent prayer in the life of a believer. 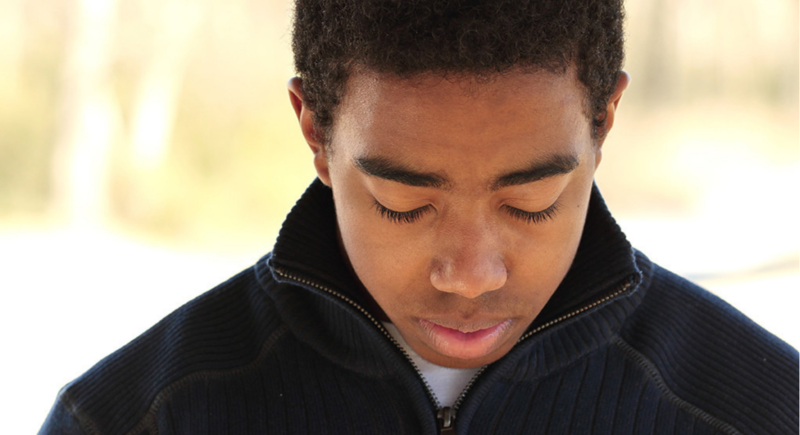 Use this junior high lesson on prayer to remind students to be constant in prayer. Bottom Line: Be constant in prayer. Use the red Sharpie to draw a large red dot on all of the marshmallows in one bag. Use the blue Sharpie to draw a large blue dot on all of the marshmallows in the other bag. Dump all of the marshmallows, both colors, into one oversized bowl. Place a table at each end of your youth space. Set one oversized bowl in the middle of each table. Divide students into two teams of equal size and have everyone stand by the table that is holding the bowl of marshmallows. Give each student two paper straws. Assign a color, red or blue, to each team. Say: “Just keep moving… just keep moving…” – that’s the name of this game. You have been assigned to a team and your team has been given a color. This bowl contains marshmallows with each of your team’s colors. When I say, GO, you are going to use your paper straws, like chopsticks, to transport your team’s marshmallows to the empty bowl on the other table. At the end of the game, the team with the most marshmallows in the bowl, at the other end of the room, wins the game. Here’s the catch… when you take your marshmallows down to the bowl at the other end, you can also use your straws to remove one of the opposing team’s marshmallows and carry it back to the bowl at the starting point. If at any point, you drop one of your team’s marshmallows, you must leave it on the ground for the rest of the game. If you are attempting to transport one of the other team’s marshmallows and you drop it, then you have to put it back in the bowl that you just took it out of and run back to your team. If you think you are skilled enough to transport two or more marshmallows at a time, you are more than welcome to – just remember that if you drop your own team’s marshmallows, those can’t be used again for the rest of the game. At no point can you stab a marshmallow with your straw – you have to use them like chopsticks. Oh… and one more thing… how many people can play at a time? Everyone! All of the people on each team will be playing all at the same time. When I say, GO, the game will begin and everyone will have 3 minutes to attempt to get their team’s marshmallows to the other bowl. Okay. Are you ready? Set? GO! At the end of the game, count how many marshmallows each team has moved down to the other bowl. The team with the most marshmallows – wins! Say: Are you tired? Because it took a lot of effort to just keep moving! You couldn’t stop or you wouldn’t win – stopping meant that you didn’t care if you won the game. You had to constantly be moving towards the goal. Ask: Can you think of something that people do “constantly”? Or something that you feel like you are constantly doing? Maybe you were thinking about how your younger sibling constantly wants you to play with them. Or you know someone who continually smiles… or constantly bites their nails. There are unhealthy activities that people do “constantly’… like overeating or playing too many video games. And other things that are really great for our well-being if we do them constantly… like exercising, caring for each other… and our topic for today – praying. The word “constant” in this scripture doesn’t mean that every minute of your life you are praying. It means to persist in prayer – to keep at it. It’s the opposite of random, occasional, or sporadic. Ask: Which word do you think best describes your prayer life – constant, persistent, occasional, random, or sporadic? Feel free to share if you would like to. Share about a time in your life when your prayer life was less constant than at other times. What was going on in your life during that time? What have you learned since then? I want to read our verse in another version that is worded a little differently. This verse begins by reminding us to rejoice in hope. Why? Because you will face difficult situations and the hope that God fills you with will give you the strength to endure. I will be the first one to say – that’s hard! You can’t do it without God’s help. You might be able to be “be patient” for a while, but eventually you will find that your own strength isn’t enough. That is simply the act of talking to God and spending time with Him, and the more you do it, the more you will develop your relationship with God. So we defined prayer as simply talking to God… but even more than that, it’s listening for God to speak to you as well. Raise your hand if you have a friend that does all of the talking in your relationship. Sometimes you might have something you really want to tell them, but they won’t allow you to get a word in edgewise – it can be frustrating. Raise your hand if you enjoy cooking… you want to be a chef, or you just enjoy creating really yummy food. So, you get this recipe that looks amazing and you have all of the ingredients. And how about this… the person who created the recipe is going to help you every step of the way. But instead of following the recipe or listening for directions from that person, you decide to wing it… and you really mess it up. Nothing comes together right; in fact, it looks ruined beyond repair. You feel frustrated, stuck, disappointed in yourself, and even annoyed because of the time and ingredients you wasted. And all along, there was someone who was waiting for you to ask for help. That’s our prayer life with God. God made you, and He knows more about you, your personality, weaknesses, and strengths than anyone else does. And He wants you to have an awesome life. He has given you instructions on how to live and the answers to your questions about life, in His Word. He is also always willing to guide you… if you will just listen. You might be thinking – God has never spoken to me. I don’t even know what God’s voice would sound like. Well, the more you listen for His voice, the more you will hear it… and maybe you just haven’t asked for Him to speak to you. Most of us don’t give our opinions unless we are asked. God wants you to ask Him. Today, I want you to remember the value of prayer and the importance of being constant in prayer. Keep going and growing in your relationship with God. He loves you and wants to guide you through the ups and downs of life. There is a benefit to being constant in prayer – you are filled with God’s hope and learn to recognize His voice and depend on His guidance in every area of life. 1. How often do you think about praying? What are some situations or circumstances that remind you to pray? 2. Do you feel like you should pray more? What/who makes you feel like you should pray more? This is a great time to remind students that God would never condemn them for not praying enough. But instead, He wants to have a loving relationship with them. 3. How often do you think God wants you to pray? What does God want you to pray about? 4. What do you think it means to “be constant in prayer”? 5. What is the purpose of prayer? How would you explain “prayer” to a friend? 6. Can you think of anyone in your life that has a healthy prayer life? 7. Can you think of any stories in the Bible where someone prayed, and God answered their prayer? Tell me about it. 8. Do you consider your prayer life to be “private” or is it something that you are comfortable talking about with others? 9. Sometimes people say they “aren’t good” at praying. Why would someone feel like that? Are we supposed to be “good” at prayer? 10. Take a few minutes and pray as a group. Remember that God cares about every need in your life… and He wants you to tell Him about it.